There is something to be said about the importance of the written word and the power of primary sources. Clermont County is fortunate to have a substantial set of historical records, some of which are over 200 years old. These records tell a colorful story of our collective history and belong to the people of Clermont County. 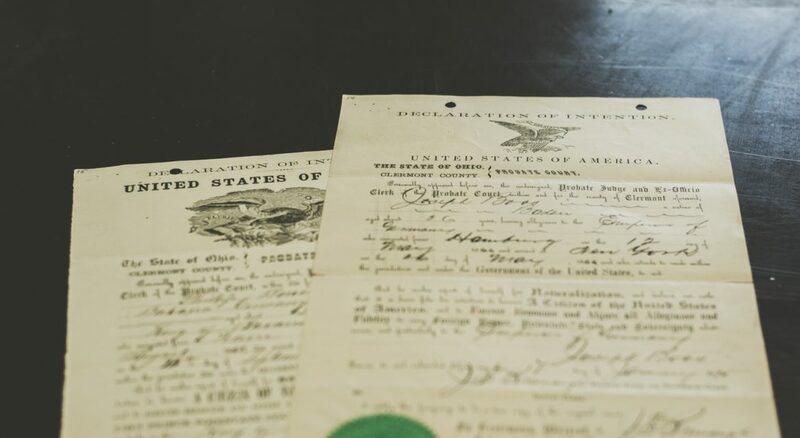 A local researcher who was combing through historical court cases at the Records Center once commented, “Thank goodness our ancestors sued one another; if they hadn’t, we’d have no records!” Clermont County is proud to preserve these records. The Records Management Division maintains several index books that can assist in locating a particular individual, which, as seasoned researchers know, can sometimes become a “needle in a haystack” situation.